Magic smashed Rhinos in Johannesburg 91-68. Both teams do not play next round, which will be an opportunity for some rest. Panthers (3-1) recorded a loss in Potchefstroom. Visitors were defeated by Eagles (1-3) 77-69. Both teams do not play next round, which will be an opportunity for some rest. The game between Panthers (3-1) and Eagles (1-3) in Johannesburg on Sunday ended with biggest points difference. Panthers outscored guests from Potchefstroom 97-63. Both teams do not play next round, which will be an opportunity for some rest. There were no big surprises in other games of round 3: Egoli Magic smashed Mpumalanga R. on the road 86-65. Tshwane S. destroyed Limpopo Pride on its own court 65-31. Tshwane S. outscored Limpopo Pride in a road game 73-47. 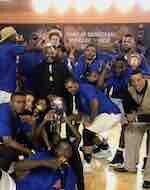 No shocking result in a game when Magic (4-0) crushed Rhinos (0-4) in Mbombela 86-65 on Sunday. Both teams do not play next round, which will be an opportunity for some rest. 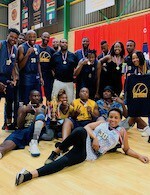 Very expected game when Limpopo Pride (0-4) was smashed by Suns (4-0) in Tshwane 65-31 on Sunday. Both teams do not play next round, which will be an opportunity for some rest. Very predictable result when Suns (4-0) rolled over on the road Limpopo Pride (0-4) 73-47 on Saturday. Both teams do not play next round, which will be an opportunity for some rest.